Gift card Classic is one of our most appreciated cards with a wide range of quality products in a variety of categories. We have a variety of well-known brands such as Rosendahl, Snow, Wilson, Vinga of Sweden and many more. 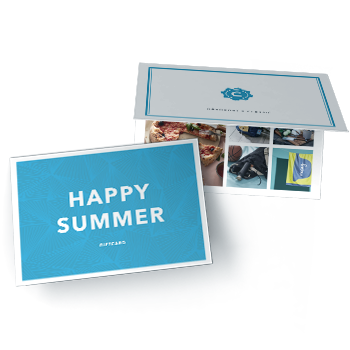 In addition to this, there is the possibility of creating a personal touch by creating custom-made cards along with a personal greeting on your website. You will find more information about the gift card and additional services below. Giftcard Classic is one of our most appreciated card. The giftcard contains a wide range of quality items from well-known brdans such as Rosendahl, Snö of Sweden, Wilson, Allers Media, Vinga of Sweden, Electrolux, Dr Zipe, Grinda Stockholm, Koss, Saddler, Amanda Christensen etc. It is a giftcard for you who appreciate a wide range of items. We have products in the categories Kitchen & Entertaining, Decoration, Active life, Accessories, Bathroom, Electronics, Media and Entertaining & Experience. You promise that you always have 100 options but ususally there are a lot more than that. The recipient of the giftcard makes his selection on the webpage www.getmygift.se. Getmygift is customized to give the recipient a great experience and an easy orientation. It is easy for the recipient to select the gift he/she wants and then to place the order. The gifts displayed online are always in stock, we can therefore reassure that the recipient always get what he/she choose. We delivery the gift within 10 workingdays.